Haneke cast French screen icon Jean-Louis Trintignant, 81, and Emmanuelle Riva, 85, in the story of George and Anne, a couple of retired music teachers, whose rich and adoring relationship is cruelly tested when she suffers a stroke. Utterly believable in the role, Riva told a press conference after the screening that she threw herself heart and soul into the part, sleeping in her dressing room at the studio where it was shot to remain immersed in her character. There is a classic film featuring Emmanuelle Riva and Jean Paul Belmonod directed by Jean Pierre Melville in full view on youtube. (Happend to see this film a few weeks ago.. deeply moved by the performances of two actors the film stayed with me days after the viewing). 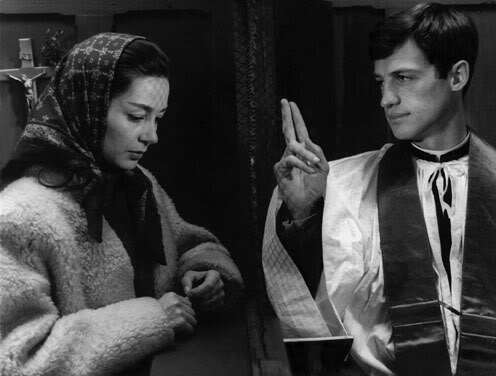 “Léon Morin, Priest” in English — was Melville’s sixth feature and almost the exact midpoint between early successes like “Bob le Flambeur” (1956), about a gentleman thief organizing the heist of a lifetime, and “Army of Shadows” (1969), his late-career masterpiece about the Resistance. Given his interest in the war, it’s understandable that he was drawn to “Léon Morin” and its story of life during the occupation. 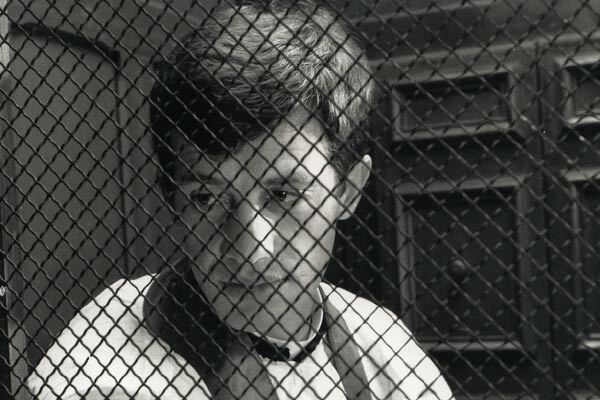 In the interview included on this disc, Melville says he was sitting on it for eight years but never started because he couldn’t find an actor right for the part of Morin, and that it was only after watching Breathless that he decided to try and get Belmondo, who was initially reluctant and had to be convinced by Melville. What Riva saw of Hiroshima. 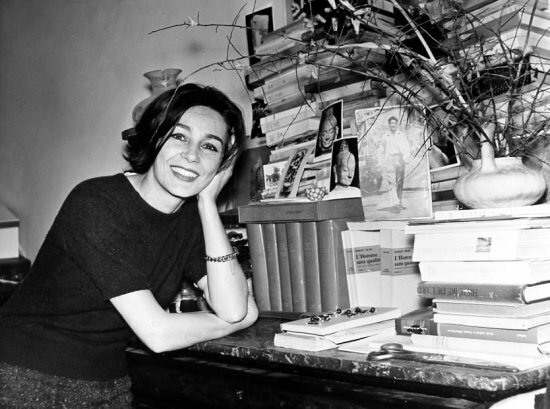 Nice photos from the film and a photo of Emmanuelle Riva today. 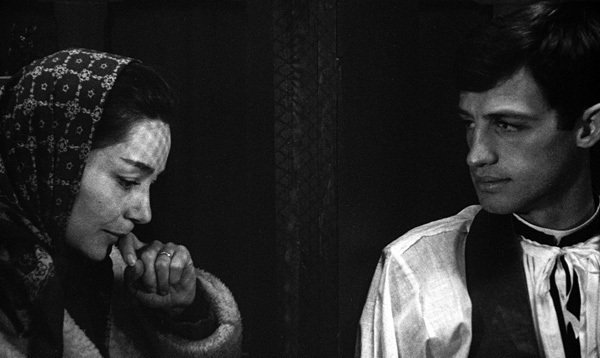 In Japan this film was released as ‘A Love Affair of 24 hours” without referencing Hiroshima. Here is a reaction from today’s young viewer. 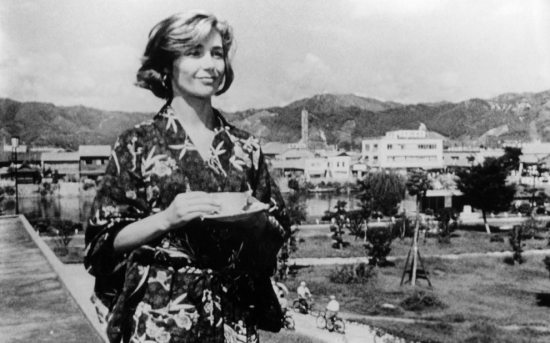 I thought lots of imagery from Hiroshima Mon Amour drifted into Sofia Coppola’s “Lost in Translation”. She was smart enough not to mention the theft instead saying something about Wyler’s “Roman Holiday”, Antonioni, and Wong Kar Wai. Resnais is a cubist. I mean that he is the first modern filmmaker of the sound film. You can describe Hiroshima as Faulkner plus Stravinsky. We’ve already seen a lot of films that parallel the novel’s rules of construction. Hiroshima goes further. We are at the very core of a reflection on the narrative form itself.